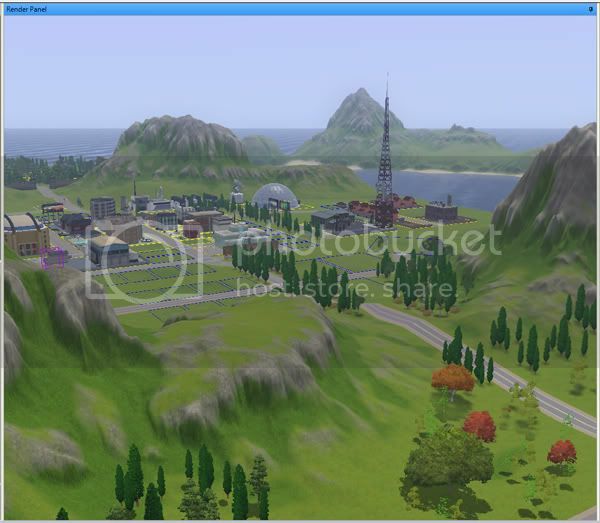 Tutorials for creating content for the Sims 3 should be posted here. No discussion threads, only tutorials! Replies: 27 (Who? ), Viewed: 38713 times. #1 23rd May 2011 at 1:56 AM Last edited by Denethor : 23rd Aug 2012 at 11:27 PM. 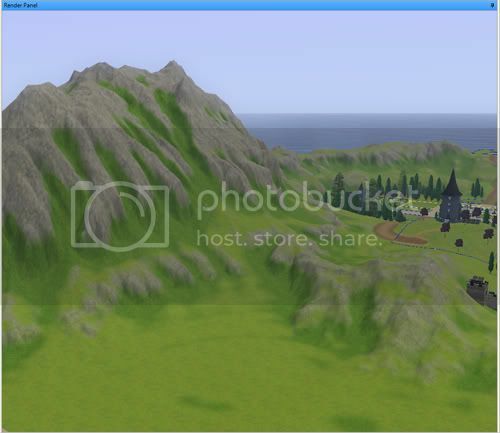 So I started creating this world I had an idea for but created the mountains etc by using a heightmap generator. This caused alot of creases etc which I quite frankly couldn't be bothered to paint by hand. So lazyness being the mother of invention I came up with a workflow to solve my dilemma, and thought I'd share it with your good selves. I don't often write tutorials so be prepared for possible waffle or small amounts of vague. You will need, a copy of photoshop (I'm using CS3 but if you have the relevant filters it should work fine on an older version.) And the CAW tool - You should also have a fair knowledge of both apps - and optionally, I like to have a pint of coke. 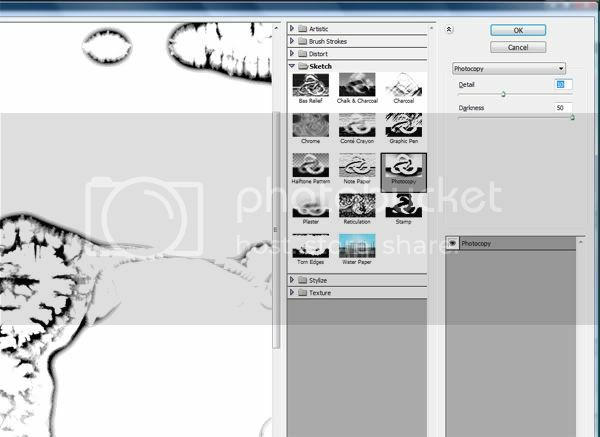 (Apparently this method also works with GIMP, so if you use GIMP instead of Photoshop you're in luck). So here is my standard world in CAW, unpainted. My base layer is the standard lawn, I'm assuming you have no layers bar the base layer from this point on. Now this is where you start to colour the terrain. I do the mountains first so I'll add a layer called "mountains". Use the rock shale base texture and then hit "autopaint" And you're finished! hope you enjoyed my tutorial. Just kidding, now after autopaint has vomited all over your terrain you'll have something like the above. 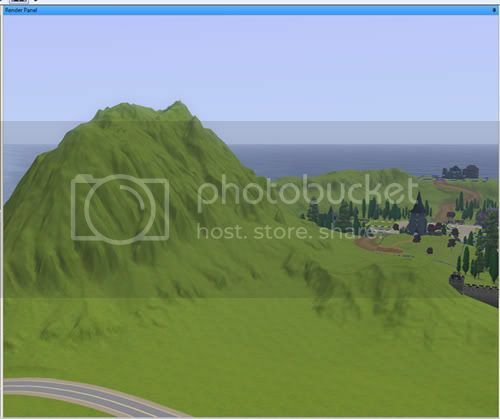 Now rightclick the layer and export it as "mountains.png" or some other name to link it with the layer. 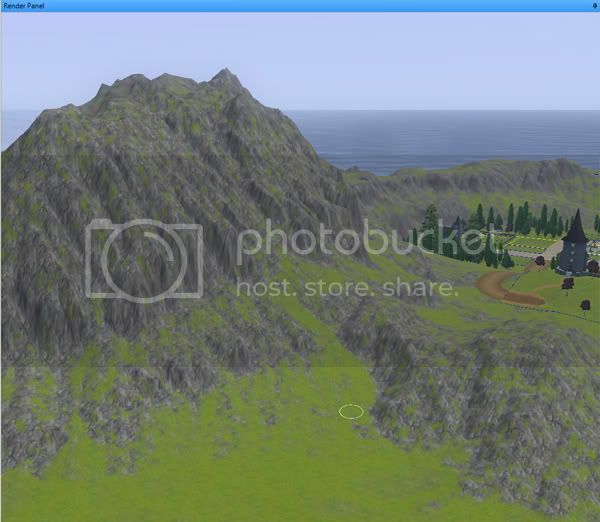 Change the texture of the mountains or leave it as it is if you prefer. I'm using the texture martine_rock_granite_detail_b.dds from Martine's ridiculously good texture pack. You can find it here. Of course you can use whatever rock texture you like but I'd highly recommend that pack. If the texture vanishes at this point don't worry, as long as it exported correctly everything's fine. 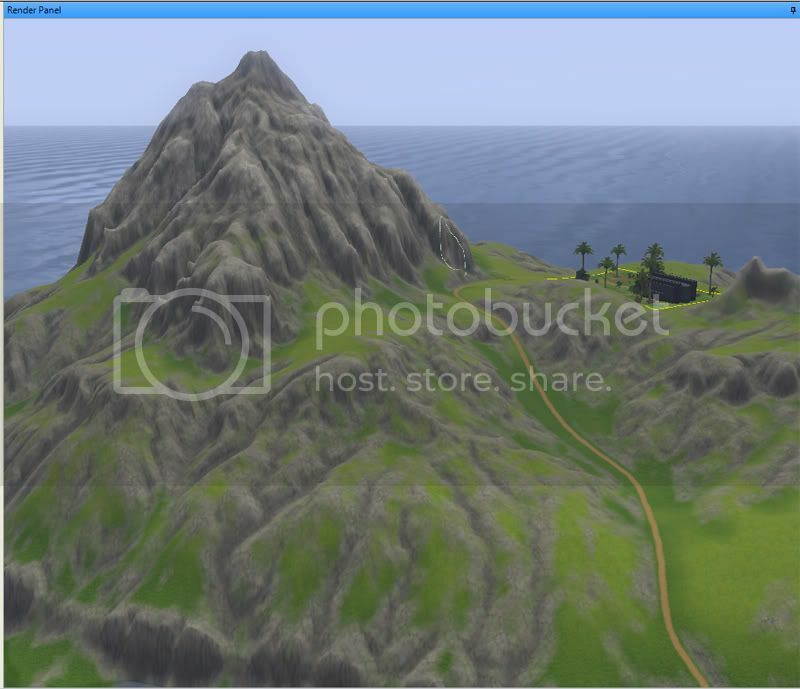 Now we open the mountains png in photoshop along with your terrain heightmap. WOO! ALRIGHT! Ok. Now select all of your heightmap and copy it, then paste it as a new layer over the top of your mountain png that CAW generated. 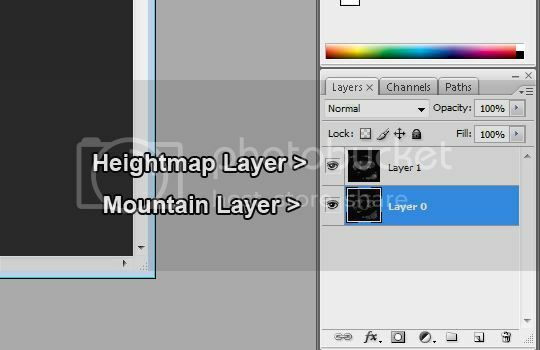 So now in photoshop you have 2 layers, if one is called background and is locked right click it, select "layer from background" and click ok.
You might want to name the layers as above so it's easier to follow what I'm saying. 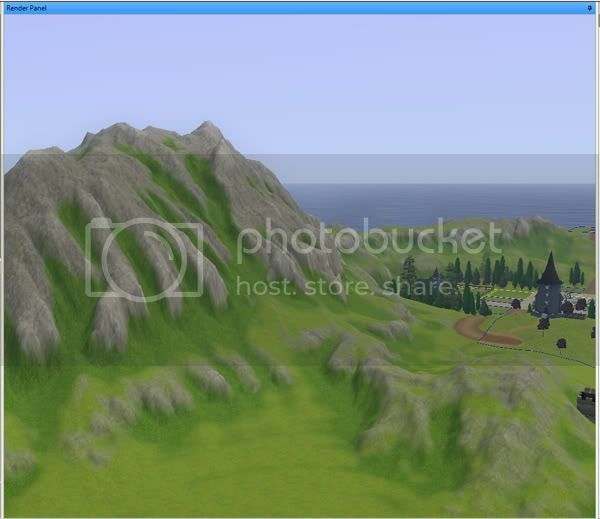 Bring the mountain layer to the top, and with the mountain layer selected go to image > adjustments > curves. The curves window should pop up. 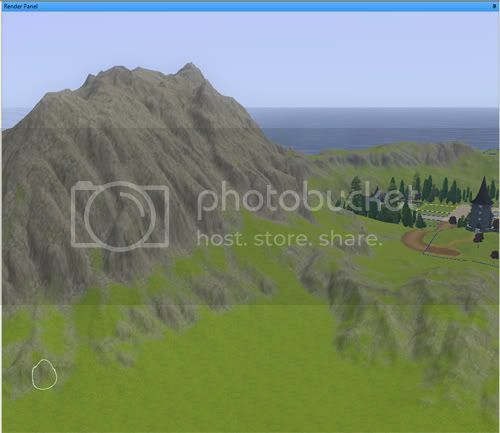 Now grab the arrow at the bottom left and move it up to about input 80 so the mountain map is nice and white. This will require a bit of trial and error as different textures seem to have different threshholds for showing up in CAW. Now click ok then once that's applied go to filter > blur > gaussian blur and set the blur radius to 1.0 making it slightly fuzzy. 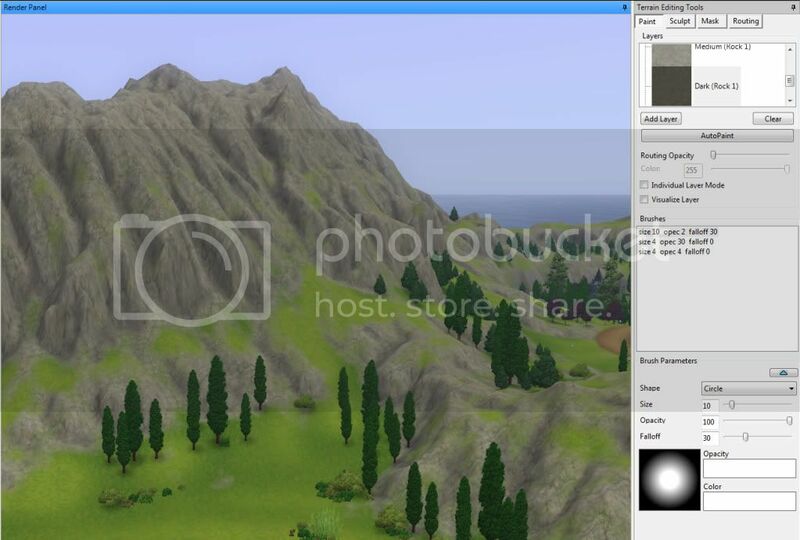 Now change the mountain layer style to soft light. It should dull down a bit. now flatten the image and save it. That's the hardest bit done, now I'm gonna pick out the creases of the mountains. with some darker rock. So in CAW make a new layer called creases, or whatever you like. 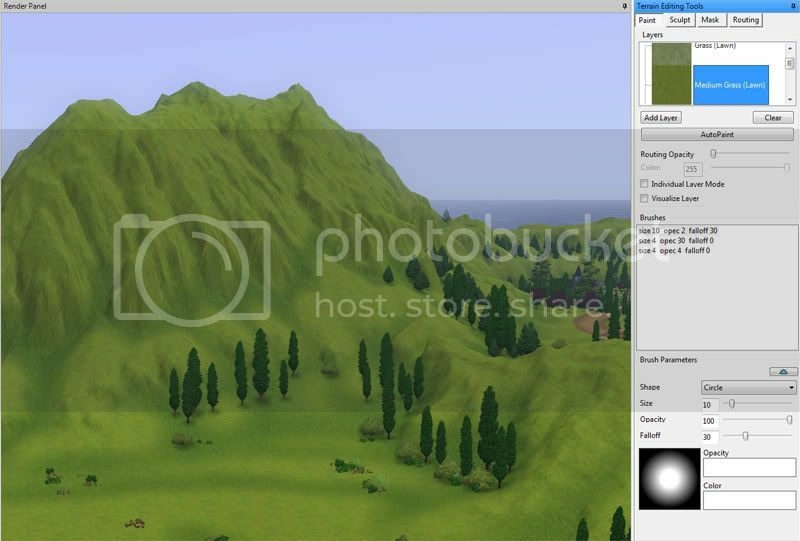 Pick a darker texture than the mountains, I'm gonna use martine_grass_medium_detail.dds as it goes with my lawn base. And then it's the same deal as before, export the layers texture map from CAW and open it in photoshop along with your main heightmap. And again, copy the heightmap into the creases png. You can flatten the image at this point as we wont be messing around with layers. As you move the arrows you can see what's happening, the left arrow brightens it while the right changes the contrast. 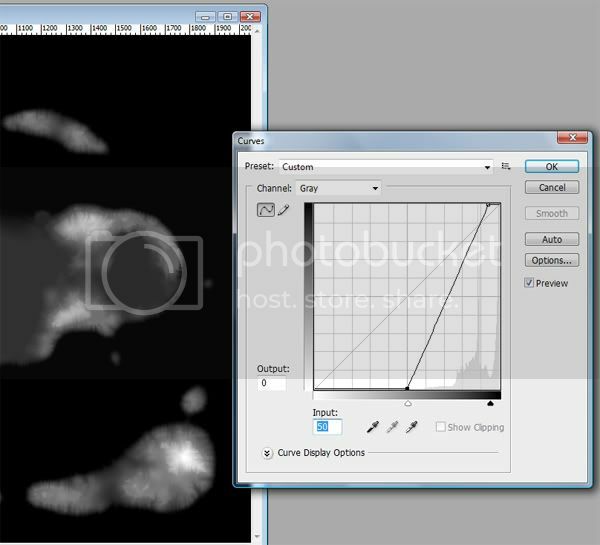 By playing with these settings you can specify the height at which the following effect is applied. For my purposes the above will do. Once you've brightened it up and adjusted your contrast go to filter > sketch > photocopy. This will pick out the creases. The darkness should usually be on max, detail I set to 10 but again, it's all a matter of preference. Now go back into CAW and import this texture map into your creases layer. 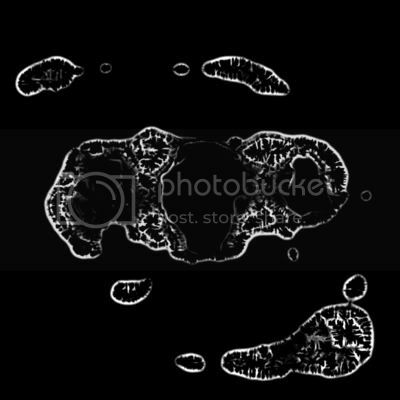 Only now you invert the image before applying the photocopy effect. 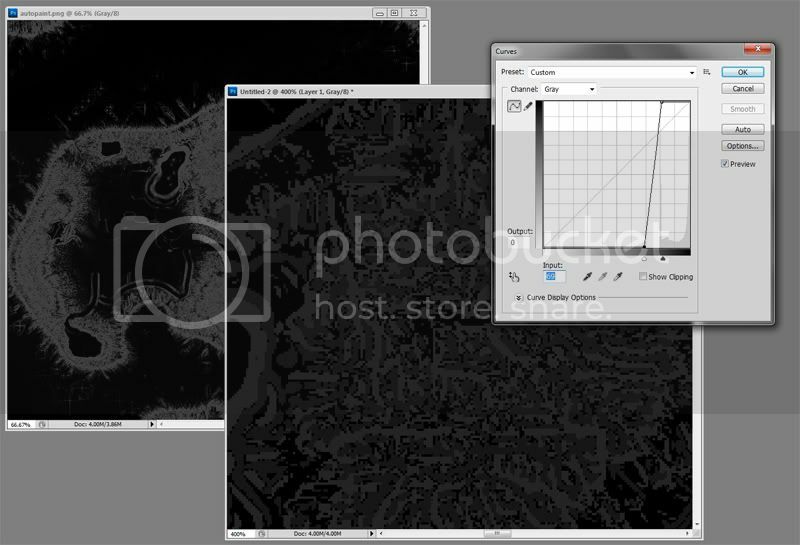 So invert it with crtl i and as before go to filter > sketch > photocopy. This time I used detail 3 and darkness maxed again at 50. Once this is done, invert it again apply a blur of about 2.0 and apply to the highlight layer in CAW the same way you did with the creases layer. 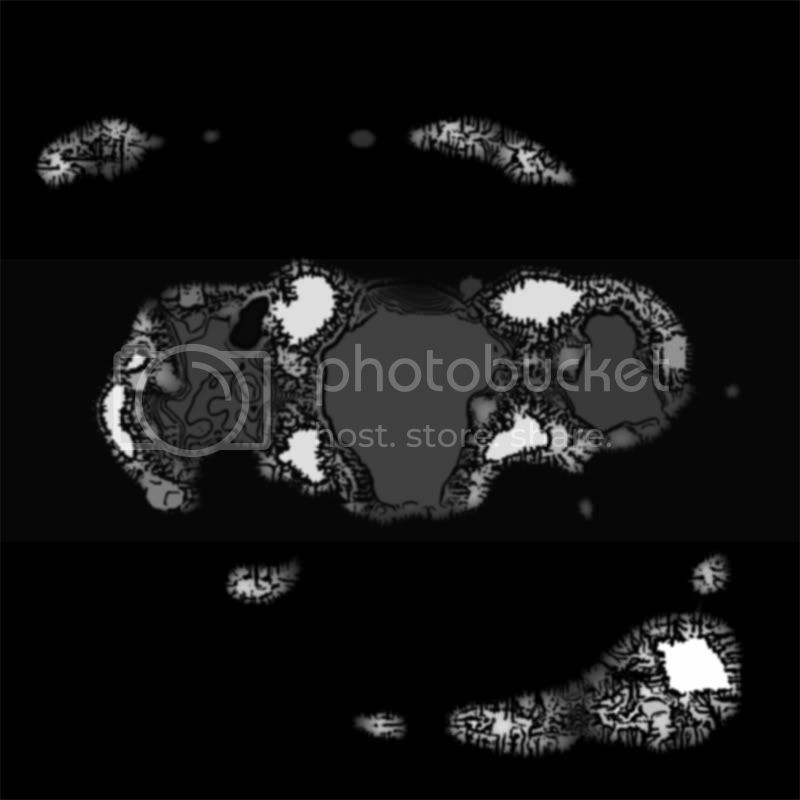 The beaches I drew on roughly by hand with a large hard edged brush and simply blurred them in photoshop. 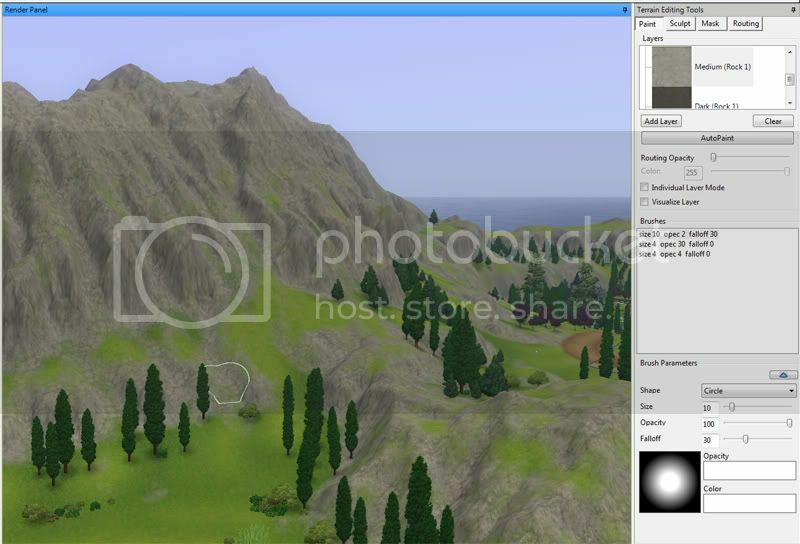 You can also use a similar method to add some texture variation to the grass. You won't quite get as good a result as with painting meticulously by hand but once you get the hang of the workflow and tinkering with the various settings, generating textures this way is an easier alternative if you have a large world to paint. My world is still a WIP, needs more gubbins. This message has been deleted by sleepalldaypartyallnight. I can't wait to try this out. Your world looks amazing. #4 23rd May 2011 at 9:20 PM Last edited by Denethor : 23rd May 2011 at 10:08 PM. Thanks all, don't forget to fiddle with the settings to get your desired results. Maybe, leave out some blur steps or try lower values to keep detail but eliminate rough edges, and try different numbers on the filters, the key is experimentation. I usually work with photoshop and CAW open so I can apply the textures then undo the changes and re apply until I like the results... I'm actually re-doing my world texture as I wasn't totally happy with it, but it won't take long which is what I like. And like sleepalldaypartyallnight (Sorry, Becca :D) said it's a good idea to retouch by hand afterwards. The textures make all the difference too, Martine's texture pack is the business. What a great tutorial, Denethor- well done! This will be very useful. Thank you so much for making this. Does this tutorial work with GIMP as well? No problem I'm not sure to be honest as I've never used gimp - depends on the filters/effects you have available. If it has something that approximates those in the tutorial it should work, it'd be a matter of playing around with the effects to see what you can get. Here is my attempt at Lazy Terrain Painting without any touching up. I used all the same terrain paints and added in a water. I changed most of the values though. Yeah that's looking cool Now you've got the hang of it just play around till you're satisfied with your results. ARG!! If only I had found this before. The thing I hate the most is getting a solid base painting down in my world -- tweaking is fun -- but getting a good (not EA Vomit) base, especially on large worlds, is tedious and a headache. I am actually looking forward to the process now -- so many thanks! Now I am off to pick out my base textures. You took me from "avoided CAW for four months after it intimidated her in the first minute" to "did all of this in three hours". This hasn't been touched at ALL in CAW yet. S'all Photoshop. Freeze frame high five! #12 14th Apr 2012 at 2:15 AM Last edited by Denethor : 14th Apr 2012 at 1:05 PM. That's cool Glad you liked it, and thanks for the input as well - I'm gonna try playing around with some of that. I'd add this to the top post, but it'd make it a monster. So I've been away from the sims for a ages but just re-installed everything and am back working on my map, I decided to re-do the paint job again to try and get a little more depth on the terrain so I thought I'd come back and share my findings with you all. As you can see there's some random wavy bits, but I'll fix those in a bit with a blur or something... I want to start writing now though before I forget what I did... if I haven't already, lets find out. I went backwards and forwards experimenting with filters and stuff so I'll just take you through it as it's layed out now. I'm gonna go a bit quicker though as you've already done it once at this point. You need to export a CAW autopaint map and leave it to one side as it comes in handy later. This time in CAW I started out with the grass_dark_detail.dds as my base texture then I added another layer on top with the grass_medium_base.dds, and exported the layers the same way as before. What I want to do at this point is add some shading to hilly parts that aren't mountains to make them pop out a bit more. 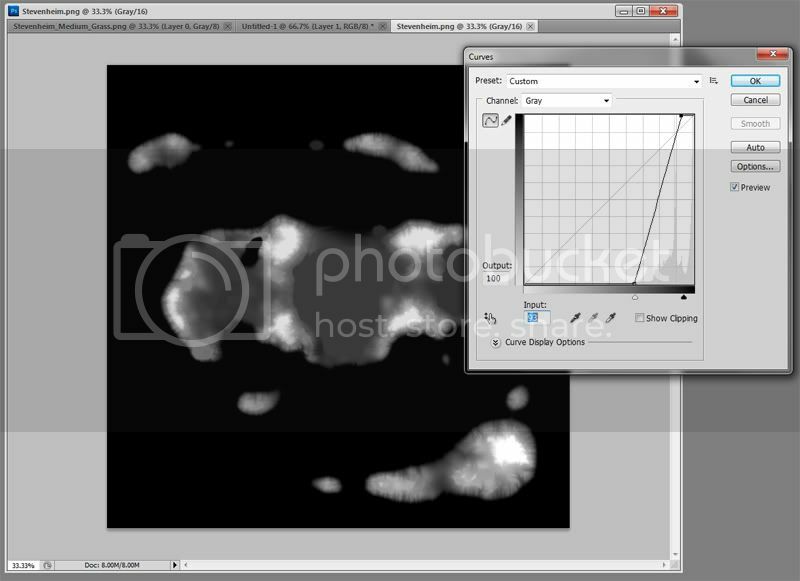 So I open up my heightmap in photoshop (using CS5 now but the filters look the same) and open up curves. I moved the left arrow right along to brighten up the lower portion of the landscape and moved the right arrow left a touch to up the contrast. This way the hills register, now I'm gonna use the "poster edges" filter in photoshop. 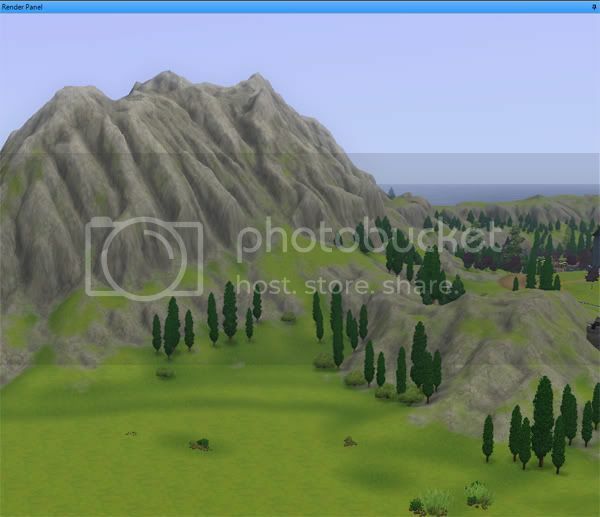 See how it's framed the lumpyness of the terrain with a dark border? That's what you're after. The funky swirls you can fix later as I mentioned. If your lines are too thin, undo to before the blur and select all then modify the selection using "select colours" to select the black (or you could probably use the magic wand tool). 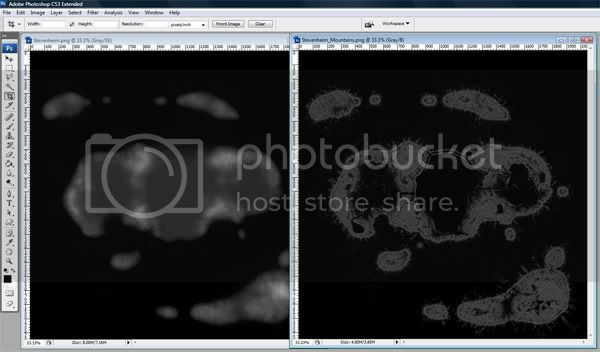 Then expand the selection by 1 or 2 pixels and delete the excess. Add a black background and merge down. Next bit is the mountains, I did the base of them the same as before but with one extra layer of dark shading. 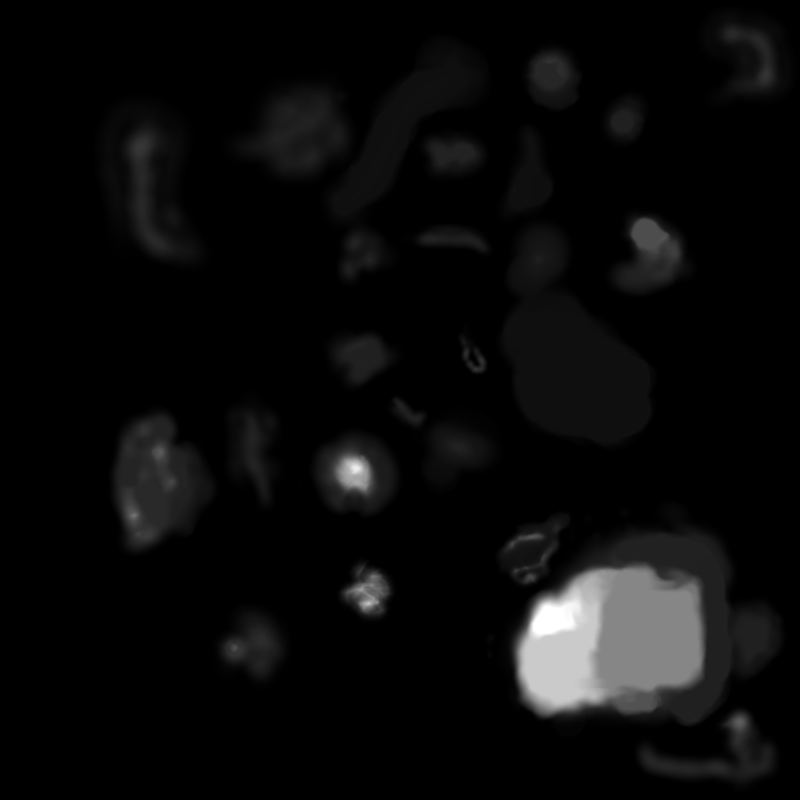 So in CAW, on top of the dark grass and light grass layers I made (in order) A layer for the mid colour rock, a layer for a dark rock, and one for a light rock. So here we are again. This time I'm gonna open the CAW autopaint png that I exported earlier. This next part probably wont work all that well on every map, but with a heightmap generator's map it worked well. It's fiddly to find but there it is, all the creases on the mountains... ideal data for shading. In the left window is your bog standard CAW autopaint map, the middle one is the result of the curves tweak and the right is the curves window with the relevant values for my heightmap. If you take the brightness up first, then the contrast little bit at a time each you'll find you details (hopefully). Then it was a case of applying that and brightening it up, and applying it to the landscape. There you can see the creases picked out. I added it in at full strength then gradually darkened it in photoshop, saved and imported over and over until I'd found the level of shading I was happy with. Highlights I did the usual way. 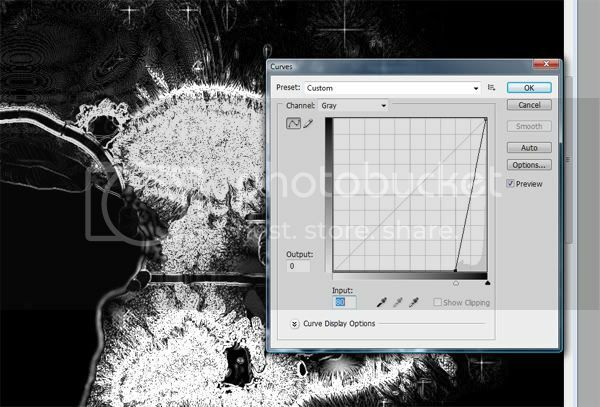 I know this is a super old thread, but I can confirm that it does work in GIMP- I'm familiar with both the GIMP and PS, and I can say that the steps are almost identical in both programs. You might want to add it to the original post. i've found using the height map as a terrain map looks quite decent. the only problem is that the terrain layer you've given the height map will color the whole map shades that paint, but probably from then on you can just touch it up to show other colors through. i'm going to tweak the height map and maybe make it a little darker to maybe blend everything better. that's a suggestion for anybody who's experimenting further with the use of this tutorial. by the way, both of them were really fantastic denethor. thank you so much. - and optionally, I like to have a pint of coke. Thanks for the tutorial, will be using it for my world project! i wasnt very good at doing the creases so i changed the time of day and umm went over the shadows worked GREAT ! This message has been deleted by nila. please painting my world. I have problem with this tutorial. Just to give you height map or something else? What a awesome tutorial! I only have one question. How are you able to save the png files in such high resolution? Mine are 256x256. I haven't found an option yet to save them as higher res files. Hey, so I was trying to use this tutorial and I ran into this issue...no idea how, but before I add any other terrain paint layers, I tried saving just the unpainted but sculpted heightmap and the image is completely white! There is deep ocean and hills, it is definitely not flat. I know white should be highest points but the whole thing is white as if it's just a big flat square. Any ideas? Smart lazy: the best kind of lazy. #23 20th Jul 2017 at 1:14 PM Last edited by galadrielh : 20th Jul 2017 at 1:24 PM. It's probably time for someone with a photobucket account to move those pictures to Modyourpanties. I am Ghost. My husband is sidneydoj. I post, he downloads, and I wanted to keep my post count. photobucket has disabled 3rd party sharing. If you want to share your pictures you need to pay for the service now.